An amazing view from Mount Kimball – I especially love this view of Table Mountain (far left)! I managed to ascend the notoriously steep Finger Rock Trail, turn onto the Pima Canyon Trail and take the side trail up to Mount Kimball during mid-day hours without any concern for the heat/temperature! What a contrast to the summer months when even early am/late pm hikes/runs on the lower/front range Santa Catalina trails are brutally hot. Looking toward Agua Caliente Hill after coming over the high point on the Bellota Trail. 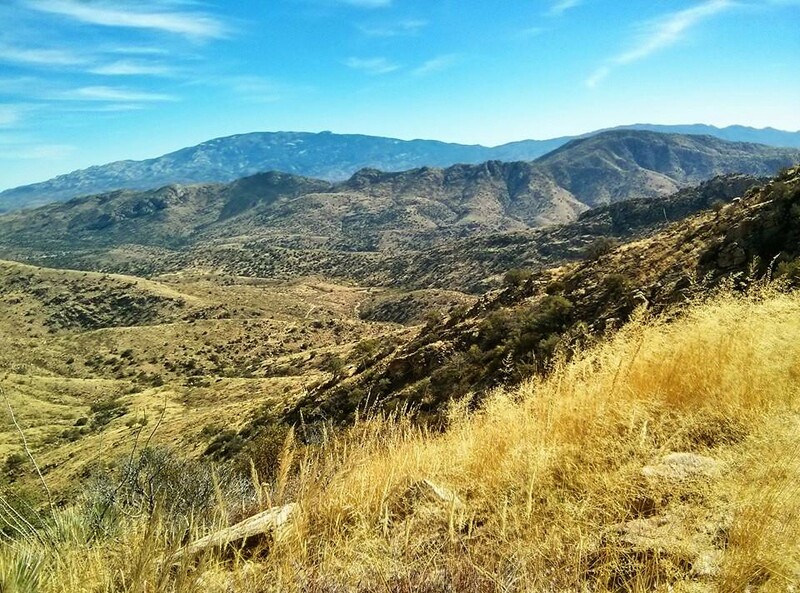 Out of the Santa Catalina Mountains on the Bellota Trail – views into two stunning canyons along the Milagrosa Trail – across Agua Caliente Canyon and up new-to-me trails to the Agua Caliente Hill Trail and down Agua Caliente Hill Trail with Alison! Between unfamiliar trail junctions and new stretches of trail I didn’t even think about the temperature during this run. There are many more ‘serious’ point-to-point hikes out of the Santa Catalina Mountains (esp. into the Rincon Mountains), but at just over 11 miles (about 14 if you have time time go to the top of Agua Caliente Hill) this is a fantastic journey that is a bit less committing. 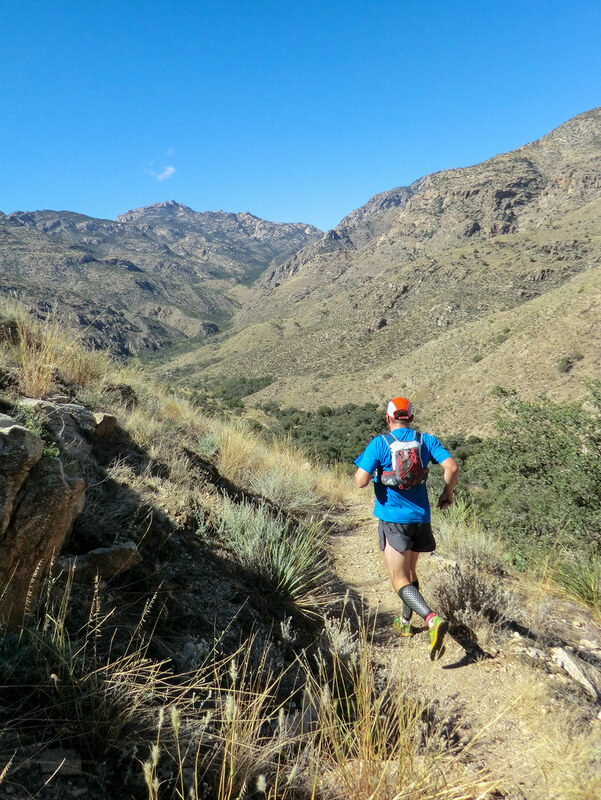 Richard running the East Fork trail – great views, smoother trails and downhill from east to west this is an absolute blast to run! We met Richard at Prison Camp, provided a little extra water (he ran up via Bear Canyon) and then joined him for on his run down to the Sabino Canyon Visitor Center via the Molino Basin, Sycamore Reservoir, East Fork, Sabino Canyon and Phoneline Trails. This was a repeat of an adventure from February of this year (pictures) – we weren’t any faster this time – but we were smarter and finished the run in much better shape! Much of the landscape looked the same – although the area near Sycamore Reservoir seemed to have more green – and the temps were beautiful! Ryan finishing his out and back run to Sabino Basin. 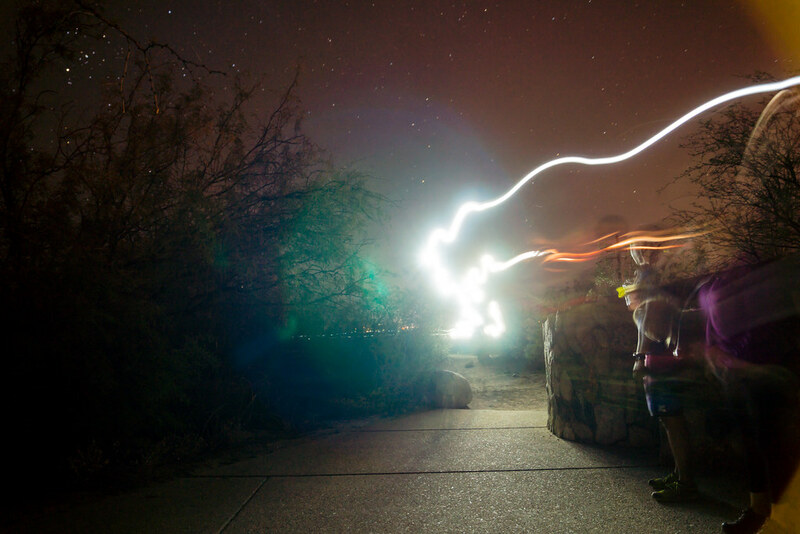 This entry was posted in Friends, Running, Santa Catalinas and tagged agua caliente hill, finger rock trail, milagrosa trail, molino basin, mount kimball, phoneline trail, prison camp on 2013 November 3 by cmiles.